Links - see also News. 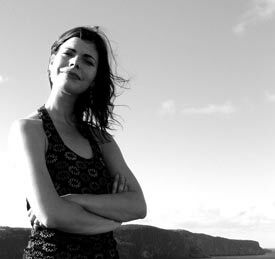 Lori Anna Reid started singing as a child in her home town of St. John's, where she absorbed the traditional melodies that permeate the culture of Newfoundland. After winning performance scholarships she studied classical music at Memorial University and later earned her degree in voice performance from the University of Toronto. For six years she was a member of Canada's pre-eminent professional chamber choir, The Elmer Iseler Singers, with whom she toured and recorded. She sang the mezzo-soprano solo in the world premiere of Bramwell Tovey's Requiem at Massey Hall in Toronto, (which won a Juno Award for Best Classical Composition of the Year, 2003). Whether as a soloist or in the ensemble of the choir, Lori Anna has always had a sense that listening is the key in ensemble, which is why she effortlessly switches musical styles from classical to folk to jazz. No matter the style, her vocal palette serves the music. Her voice has been featured in television documentaries, such as The Nature of Things, Witness, and the Walt Disney series, The Famous Jett Jackson. Lori's a Capella voice can also be heard on Carlos Lopes' score for the feature film, Saint Monica, which won a Genie Award for Best Original Song, 2003, and most recently in two soon-to-be-released films: the documentary, Saving Saint Stephen's (Robin Benger, Cogent Benger Productions), and painter Terry Black's gorgeous Beggars Banquet (Ruth Douglas, Waterline Artists). Reid's versatility, love of collaborative effort, and utter respect for the composer's craft dissolves musical boundaries. 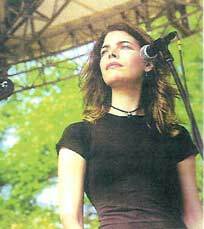 She has had the honour of singing with multi-award-winning songwriter and iconic producer, Daniel Lanois, since May of 2003. 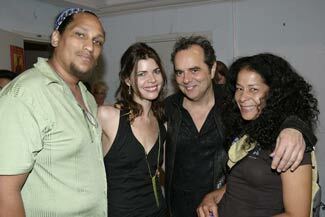 She was featured at Carnegie Hall with Daniel Lanois and Emmylou Harris in January, 2006. Lanois has called her voice "hauntingly beautiful", and praises her sense of phrasing in ensemble as "telepathic". 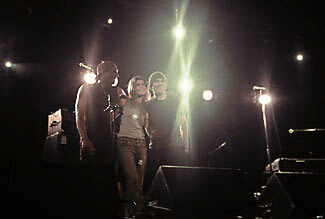 With Lanois she has toured Canada, the U.S.A. and Europe with stellar musicians Brian Blade, Darryl Johnson, and Jorn Anderson. 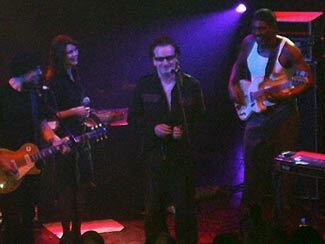 Reid also sang with Lanois on the Late Late Show in Dublin with Bono and The Edge (U2). Lori Anna Reid was the featured vocalist in The National Arts Centre Orchestra's December 22, 2006 sold-out concert with beloved Irish conductor Frank McNamara, and Canadian fiddler Frank Leahy, which was a huge success. 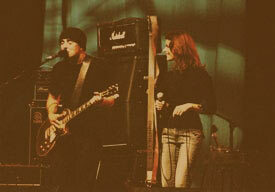 From November to December 2007 Reid performed at theatres across Western Canada with country star Michelle Wright. She will sing with the multi award winning Maritimer Lennie Gallant, at theatres across Ontario this April, finishing at Hugh's Room in Toronto on April 17th. Reid continues to perform regularly with acclaimed Canadian acoustic roots guitar slinger/songwriter Gregg Lawless. See Reid's website for her upcoming concerts in Ontario. In March 2008 Reid was deeply honoured to sing for our Canadian soldiers in Afghanistan. General Rick Hillier was so moved by her heartfelt, unaccompanied rendition of Willie McBride during the 90th anniversary celebrations of Vimy Ridge in Newfoundland last year, he personally invited her to sing for the Governor General at the Commander's Ball in Ottawa. A few months later she was flying overseas to entertain the Canadian and NATO Forces, along with the Stanley Cup, NHL stars, and Blue Rodeo. She was profoundly moved by the experience, and deeply humbled by all she witnessed. Listen to her solo EP recording, Lori Anna Reid, a forerunner to her upcoming album, Songs That Won't Fall Away... ancient ballads, folk songs from Newfoundland, and protest songs that could bring a tear to a glass eye. Steeped in "saudades" and straight from her soul, there is nary an instrument on the whole album - a Capella, stark, dangerously beautiful, like the cliffs of her home in Newfoundland.